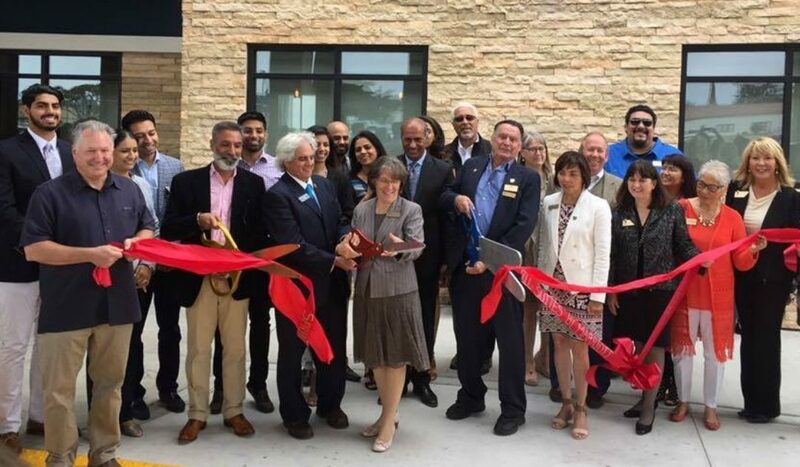 2017 and 2018 were both great years for the Marina Chamber of Commerce (MCoC). 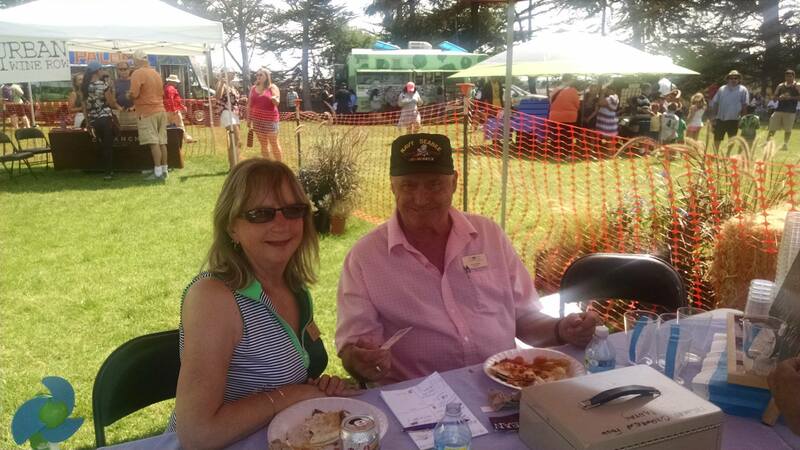 In addition to doing a great job building up the current Board of Directors and volunteers, Ron & Terry Lebda led the charge in creating new event opportunities, partnerships, and recruiting new members. 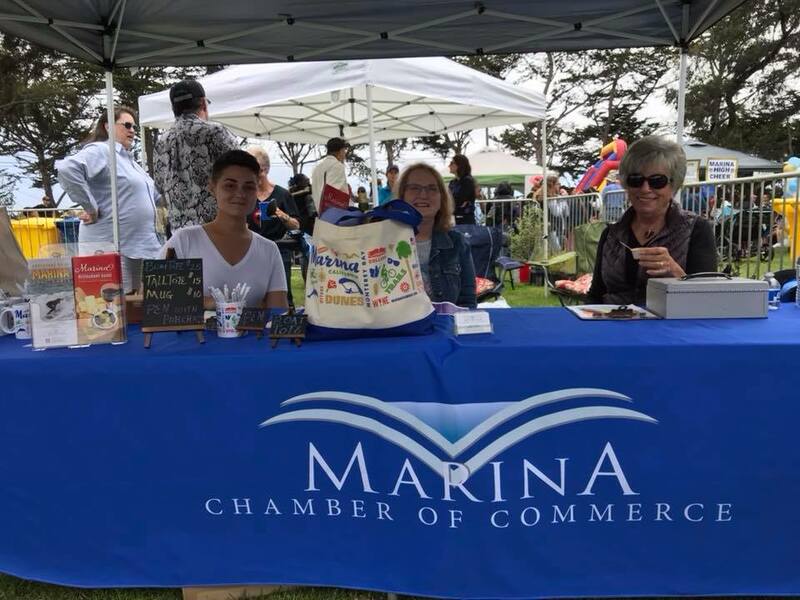 In 2018 we helped organize seven mixers, two ribbon cuttings, and represented the Marina business community in many local and county-wide events. 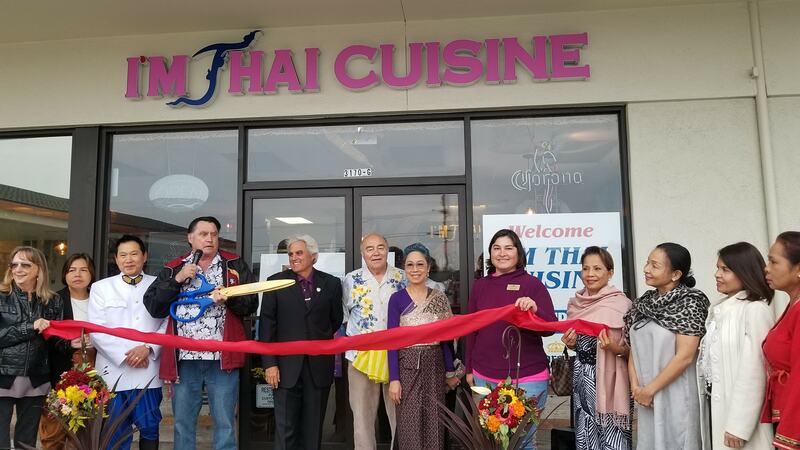 Our new website has become a favorite outlet for local news and events. With the ability to go in and add your events and news announcements, more and more people are taking advantage of this excellent community resource. 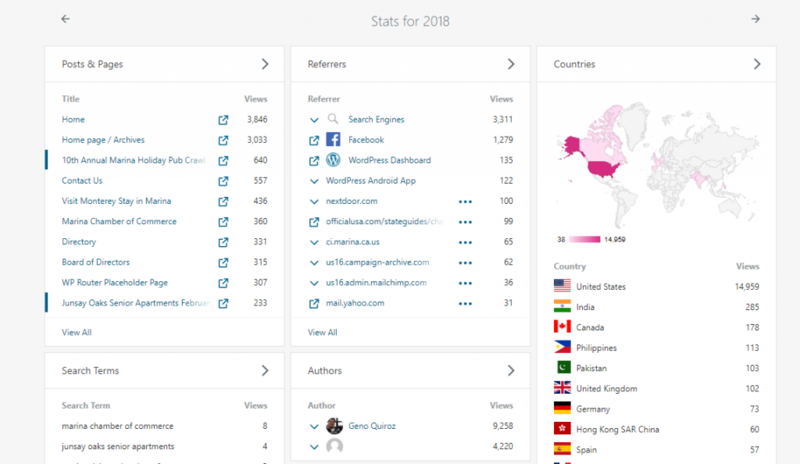 Our website averages 1,377 page views per month and 547 unique visitors per month with visitors viewing from as far as the UK, France, Netherlands, Germany, Peru, Uruguay, China, Bulgaria, New Zealand, India, and Italy. Why does it matter that we are reaching people from other countries? Because our website marketing strategy is to attract tourists who are planning their visit to Monterey. “Visit Monterey, Stay in Marina”! Interested in learning how you can take advantage of all our free resources available on our website, check out the instructional articles we have gathered here. 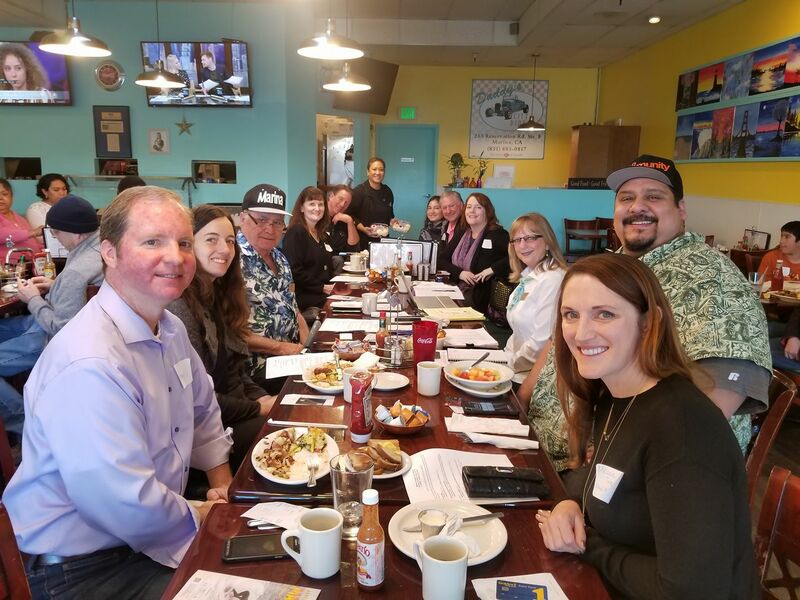 A huge thank you goes out to ALL of last year’s Marina Chamber board of directors for all the time, passion, experience, and love they freely volunteered to make these things happen. 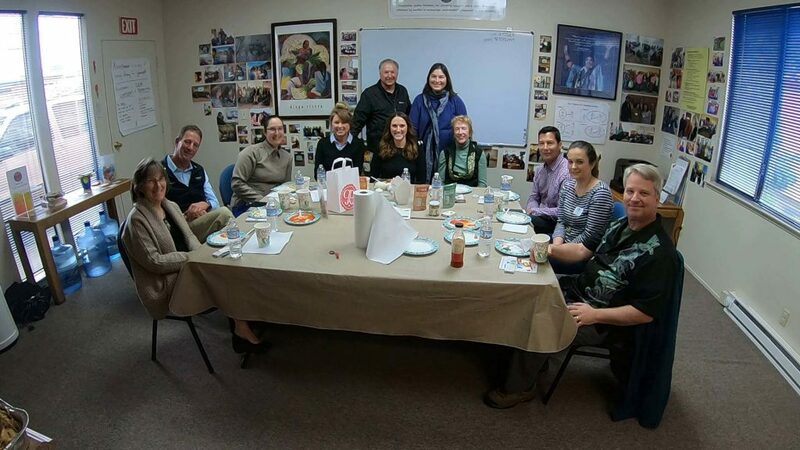 Thank you, Ron Lebda, Terry Lebda, Mike Mast, Angie Nader, Bettina McBee Hohmann, and Marilyn Lidyoff. You guys rock! A very special and heartfelt thank you goes out to Ron and Terry Lebda for leading the charge and putting their life and soul into the Marina Chamber of Commerce. Without them taking the lead and pushing everyone forward, there might not even be a chamber today. Thank you both for everything you have done, and continue to do! A big shout out to our volunteers who have streamlined our news and events dissemination process. Cristina St. Germain has been helping us by approving, editing, and publishing our guest submitted articles and events and managing our Facebook events calendar. Charla Claeson has been organizing, publishing, and distributing our weekly E-Newsletter. And of course, we want to thank all the local community members who reached out to us and got involved in one way or another. 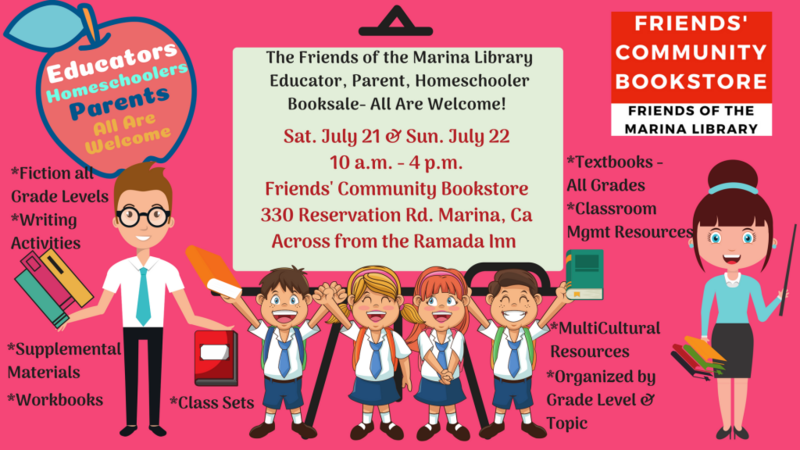 There are way too many names to list, but I do want to mention some of the folks who came out to our meetings to give guest presentations: Tina Neito (Marina Police Chief), Brian McMinn (Marina Public Works Director), Doug McCoun (Marina Fire Chief), Steve Prodes (Foolish Times), Yadira Sandoval (2019 Marina International Flavors Events Coordinator), and just this week, Josh Metz (FORA Economic Development Manager). I also want to thank the leadership team over at The Marina Foundation, many of whom are former MCoC officers and board members who helped lay the foundation for the work we are carrying on today. Many are still very involved in supporting the MCoC. Check out the wonderful work they are doing for the community here. And thank you to all the former board members and officers through years past. I have not met everyone but I am thankful for all you have done to lay the groundwork. I hope to meet many of you in the near future. 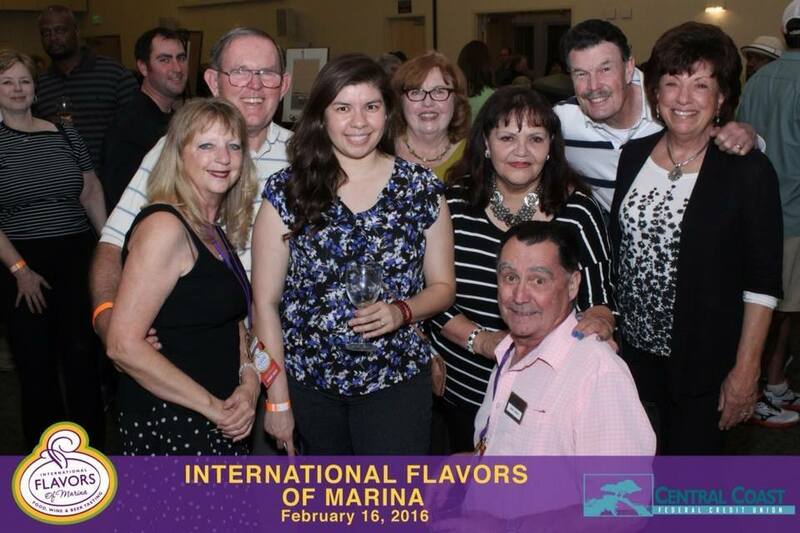 In addition to providing more opportunities to support and promote the local business community in 2019, we will be bringing back the very popular Marina International Flavors event planned for April. More information to follow. We are also looking to bring back the popular working lunch seminars that we started last year. You can read more about our first event here. 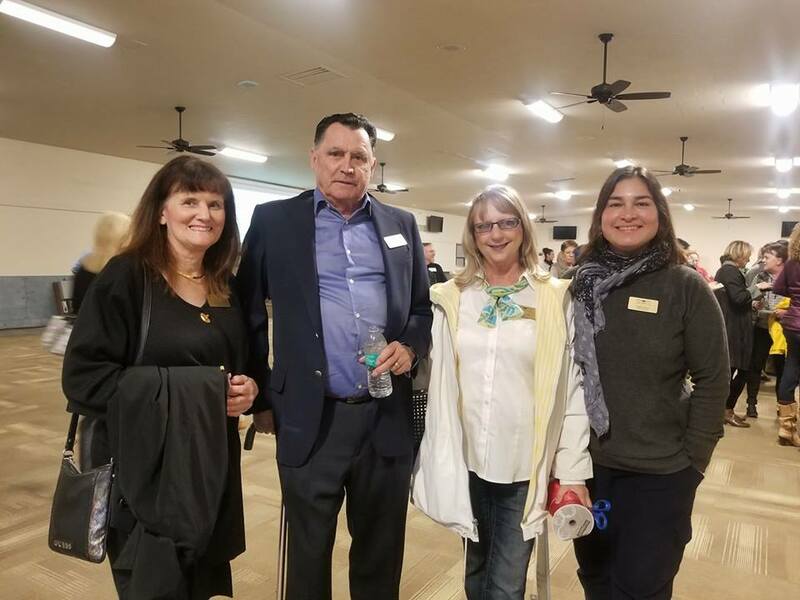 As of January’s Board Meeting, we added two new board members to the Marina Chamber of Commerce. 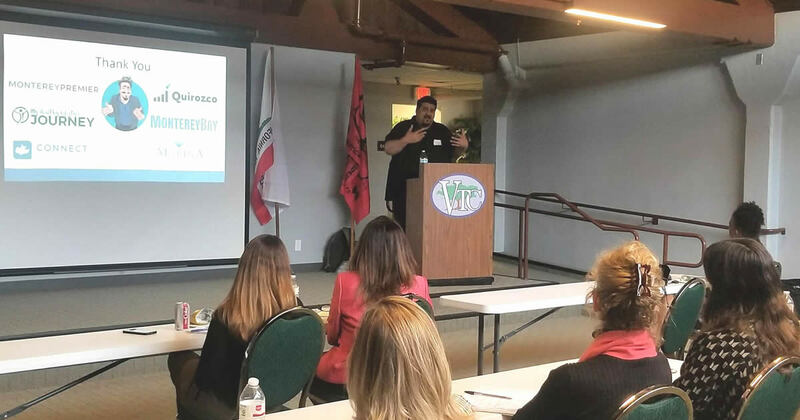 We are excited to welcome Cristina St. Germain of St. Germain Photography and Elizabeth Plante of Monterey Bay Moves, who has also been voted the new MCoC Board Vice President! 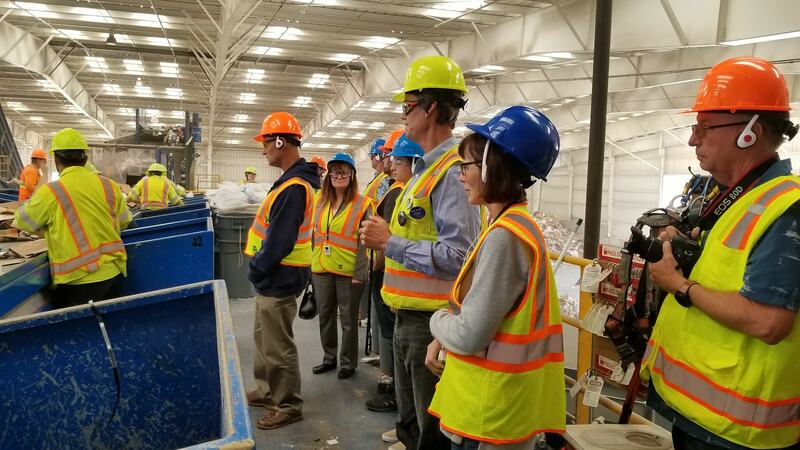 With so many new opportunities ahead of us, we are looking for chamber members and individuals who want to spearhead projects or be involved in one way or another. Consider joining the board of directors. Consider being a board officer. We are currently looking to fill the roles of Secretary and Treasurer. This is a great opportunity to offer your experience and knowledge to help better shape the MCoC. 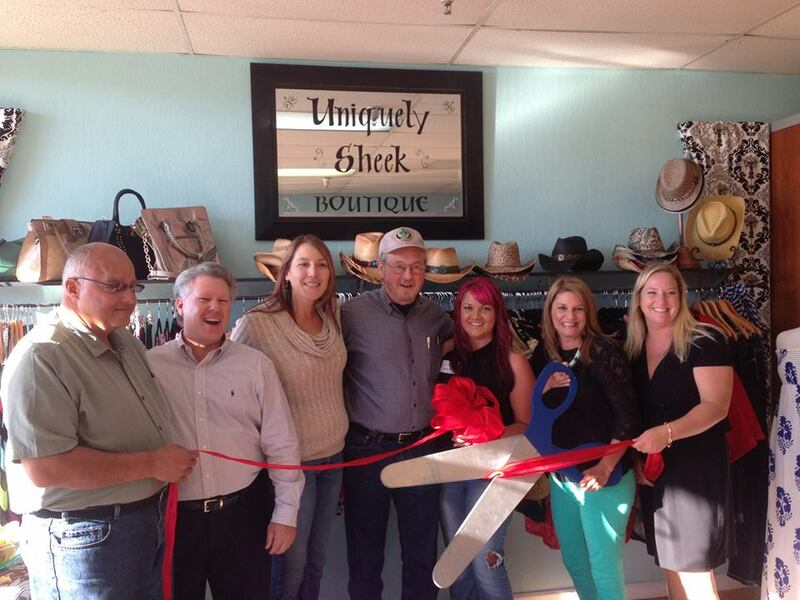 Host a chamber member mixer. Not sure what that entails, that is what we are here for. We can help you organize and get the word out to the community. Not only is it a great opportunity to network, but it is also a great opportunity to show off your business. Contribute an article about what makes your business special. Although we are not looking to post weekly specials and that sort of thing, we would like to share with the community about your business history, employees, promoted employees, and what makes your service different, in a personal way. Here are few opportunities for anyone to get more involved. We are looking for an individual who loves communicating and working with emails. This individual would manage our daily chamber email correspondence by disseminating emails to the appropriate individuals, businesses, and website resources. Sometimes the emails are membership questions, invoicing questions, visitor questions, and people looking for resources, just to give you an idea. If you like this type of thing, we would love to have you on board. We are looking for someone who loves working with WordPress and would like to help us with adding new pages, menu links, minor fixes, and managing the business directory. If this is something you enjoy doing, or want to be mentored, this would be a great opportunity. Although our bookkeeping tasks are minimal, it still would be nice to be able to have someone who is well versed in accounting best practices and who could help us out a few hours a month. As of now, our Interim Treasurer, Terry Lebda, is handling our monthly bookkeeping tasks but she is also doing just about everything else mentioned above. Do you LOVE throwing parties? 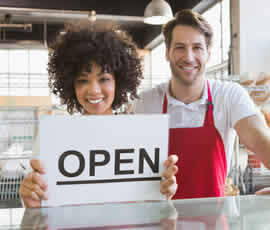 How about getting to know the businesses in the community? This position is for you! A Mixer Liaison would serve as a coordinator to assist businesses in planning their mixer events. These are just a few of the opportunities available to anyone wanting to be a part of this wonderful organization. If you are interested in any of the above, please use the form below to let us know. I am interested in joining the board of directors. I want to contribute an article about what makes my business special. I want to host a chamber member mixer.